Peter Francis Olsen (PF Olsen) was one of the great contributors to New Zealand forestry. In 1970 he founded one of the first private forest management companies and made a huge contribution to the forestry sector. Peter launched his company from the garage of his home at 10 Goodwin Ave in Rotorua. Operating on the smell of an oily rag the next 10 years saw the company flourish under the leadership of Peter and by the end of the 70's had activities going on all over the country. After a couple of years it became obvious that the company had outgrown the Goodwin Ave garage and Peter purchased a house on 333 Clayton Road, it was here that the office management systems started to grow and develop, as did the number of staff who were required to run the ever expanding operation and in 1974 Peter Olsen saw the opportunity to purchase a property on Ngongotaha Rd. They remained here for 30 years, cultivating land to heel in trees, grazing a few cattle and modifying and adding buildings to suit the ever-growing requirements of a prospering company. The company continued to grow and in 2001 under the direction of CEO Peter Clark options were considered for the next stage of growth. This saw us officially moving into a new office in Te Papa Tipu Innovation Park, 99 Sala St, on 7th December 2007. The office is 100% wood construction and cladding. It showcases exposed NZ pine and native timbers, with Tasmanian blackwood and tawa meeting room tables and cabinets. 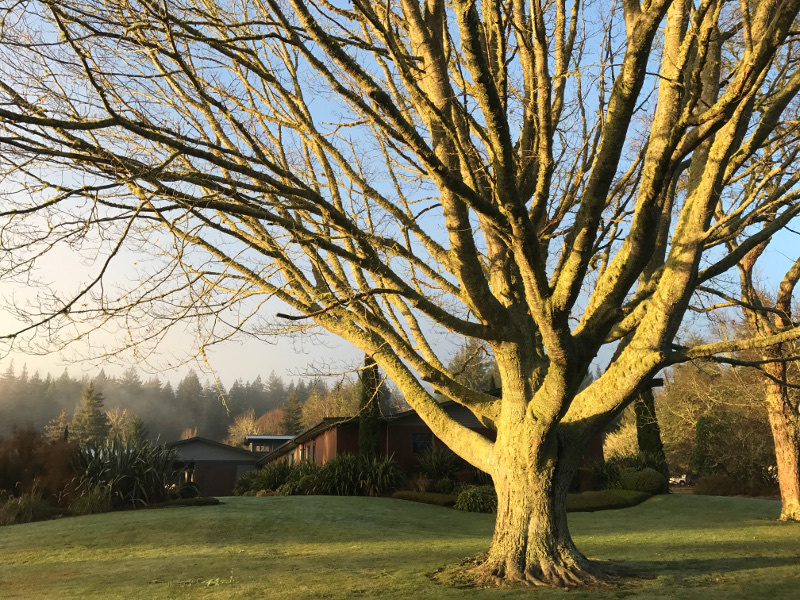 There is plenty of parking, and we are close to like-minded businesses and the Redwood Forest which staff use for walking and mountain-biking, close to town and close to the Rotorua Airport. We are indeed lucky to have our office located at 99 Sala Street.